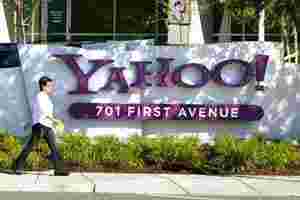 Bangalore: The Dutch unit of Internet firm Yahoo Inc. has bought for an undisclosed sum a 30% stake in Chennai’s Info Network Management Co. Pvt. Ltd , or Inmac, which runs a phone-based directory enquiry service. The move will allow the company to offer integrated phone and online local search services, a model that is being tried out by several others here. Inmac runs its service branded Call Ezee in 14 cities including Chennai, New Delhi, Bangalore and Hyderabad, where agents answer queries on services such as restaurants and movies. It competes against similar phone-based service providers such as Justdial Pvt. Ltd and business listings provider Getit Ltd.
Yahoo’s larger rival Google Inc. is running pilots of an interactive voice response-based automated phone directory service in New Delhi and Hyderabad, while Four Interactive Ltd, a Bangalore provider, runs the service Ask Laila for local listings through multiple platforms including mobile phones. Inmac expects the funding provided by Yahoo to enable it to continue to develop its team and technology. “The Indian local search market is seeing significant changes, as more and more consumers are using mobile phones to search for and find local businesses," said Keith Nilsson, head of emerging markets at Yahoo, in a statement. “We aim to gain market share by reaching out to untapped markets and advertisers in India," said T.S. Narayanaswamy, founder and chief executive officer, Inmac.